Let me start this article with… Wow… I am amazed at the imaginations of the many out there, and ever since the internet has come and made the possibly to express one’s imaginative thoughts, it has gone way beyond belief… or has it? This is a topic I generally avoid simply because my beliefs are so far removed from the many perspectives of what the imaginations have created. Nephilim, The Sons of Gods, who took upon them the daughter of men, against the will of God as it produced mighty men, giants comparatively speaking to those of the day, they became proud, controlling, destructive, ruthless to mankind, therefore they were destroyed. The Nephilim are NOT the same as the Giants that were observed by the Spies of Moses, not even close, this kind of misunderstanding is what happens as time goes on with men reaching a point in which they believe they are wiser than those who first translated the scriptures, and even those who wrote them, then they create things such as the NEW Revised Standard Version of the Bible, this is where some of the delusion begins… was there something wrong with the Old unchanged standard Bible? In the first days of Adam and possibly until the time of the flood, men were of an average height compared to our measurement standards today, and average 12 to 15 feet tall. Did they know they would someday be considered as a giant among the people of today? 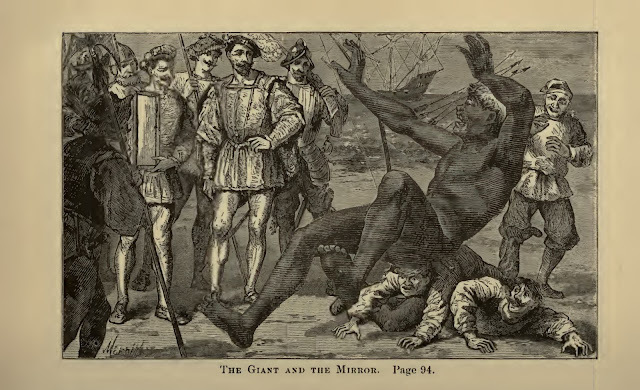 My doubts are high, and I am sure they saw themselves as we do ourselves… so IF this is the case, just how large were the Nephilim giants that were among them? 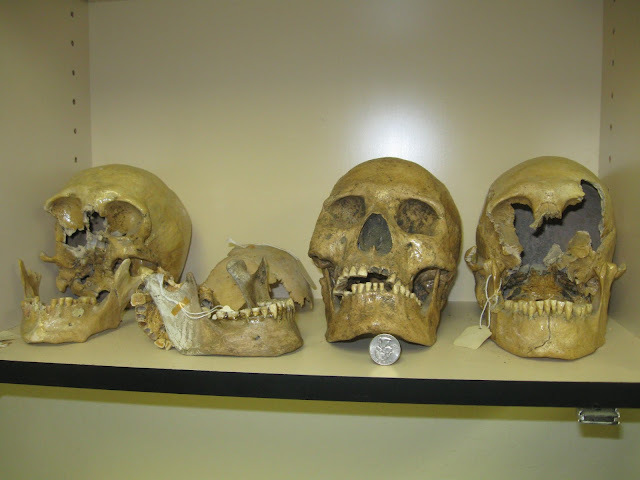 And the answer to that is using our standard form of measurement, 28 to 32 foot in height, these were the Nephilim. It would be like comparing a 6 foot man today with a man 12 feet tall, Dinosaurs to the average man of those days, were not much different comparatively speaking than man today compared to an Alligator, Komodo Dragons etc… The Largest dinosaur in the days of an average man height of 15 feet would be like man today compared to an African Elephant. How is this possible? I am reminded of the statement made by Frank the Pug in the movie Men in Black, “You humans, when are you going to realize size doesn’t matter.” The further this planet moves away from its creation origins, the smaller living matter becomes and it has moved at least twice in the past and not necessarily all at once. So if an average man in the days of Adam had his little pet Horned Toad as we call them, like I had as a child, and it developed according to those same principles which regulate all living then and as we know it now… and to that man it was comparably like it is today… and his little pet dies, and the Adamic man takes his little pet and builds a little sepulcher for his beloved pet placing it within… time goes on, things happen, several thousand years pass and today, some man of our time happens upon this little sepulcher, but it isn’t so little and we might call it a Dolman, and he excavates it and finds… a Ankylosaurs dinosaur… Are you beginning to understand the construction of Stonehenge and the Pyramids yet? Moses was instructed to send spies to the land of Cannan, and while they were there, they encountered what they called Giants, they were no doubt larger than the people in the days of Moses, but we honestly do not know the average height of a man in the days of Moses., My personal belief is that man at this time was average 7 to 9 Foot or so, however I would suspect the height of what is called a giant to be 10 to 12 feet at that time. One giant skeleton found in the same area was shown to my friend in its burial site where it remains today, my trusted friend said the femur bone when one end was placed on the ground standing next to his foot, it reached nearly to his waist, he has plans to return to get comparative photos. The Femur bone represents approximately 25% the height of a man, my friend who is not quite as tall as I, using his waist height and by his description, the bone was 32" up to 36"
Many accounts have occurred where in Spanish and other explorers have encountered what seemed to be giants, The Catalina Island Queen and her sister said to be 8 to 9 feet tall just to name one, oh wait, she had a sister, make that two, but to find these accounts one has to do some in depth research as the more modern writings have omitted them. 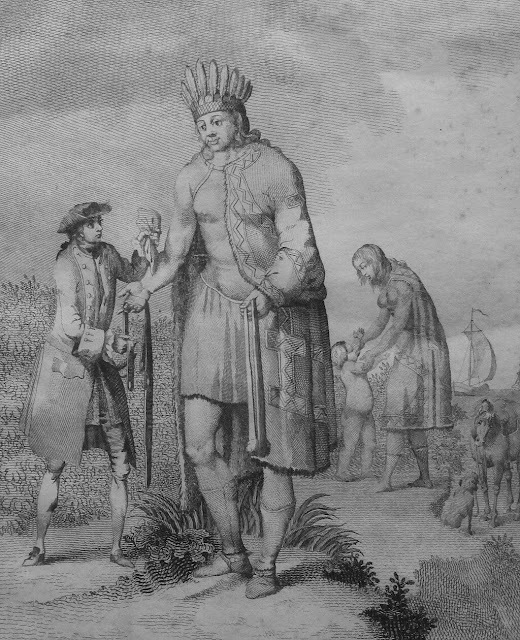 The legends of the Choctaw Nahullo, and those of my own ancestors, the Lenape, have their traditions of the Alligewi, as opposed to Talligewi which are often confused. The following is just one of the many accounts which remain among the writings of the modern accounts, it is humorous however to see the choice of words in order to diminish or make it unbelievable. Regardless of the many accounts and perceptions, the first Americans were an average height of 9 feet at a time roughly 600 BC, many grave sites in southern Utah and Northern Arizona confirm this to a degree. Today we only need look at the Alaskan tribes the Inupiat, Aluet, etc, The Navajo, Dine, or most closely related to these first Americans giants are non other than the Altai Mongolian. 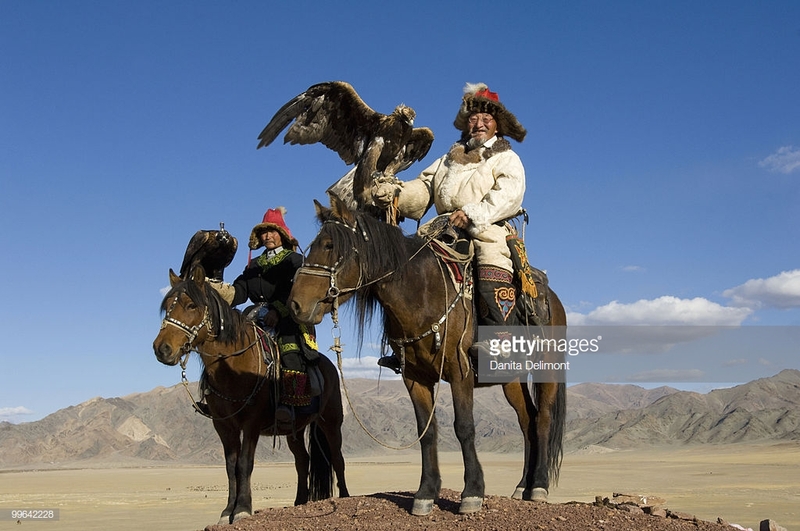 I wonder where the Native Americans got there fascination with Eagles from? Had you ever heard of the Patagonian Giants? The Patagones or Patagonian giants are a mythological race of people, who first began to appear in early European accounts of the then little-known region and coastline of Patagonia. They were supposed to have exceeded at least double normal human height, some accounts giving heights of 12 to 15 feet (3.7 to 4.6 m) or more. [I have not yet found one account to validate this statement of 15 feet] Tales of these people would take a hold over European concepts of the region for some 250 years. 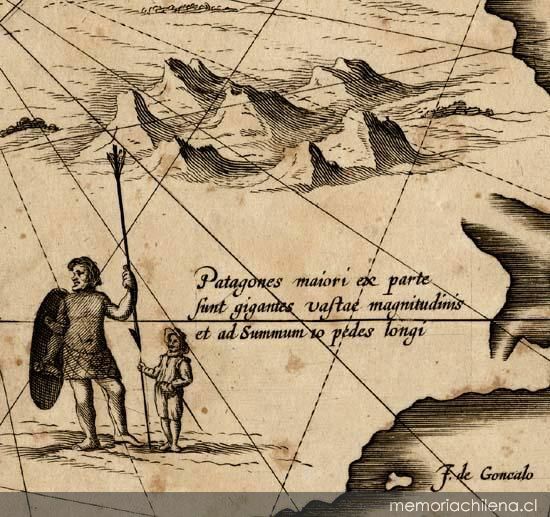 Pigafetta also recorded that Magellan had bestowed on these people the name "Patagão" (i.e. "Patagon", or Patagoni in Pigafetta's Italian plural), but he did not further elaborate on his reasons for doing so. The original word would probably be in Ferdinand Magellan's native Portuguese (patagão) or the Spanish of his men (patagón). 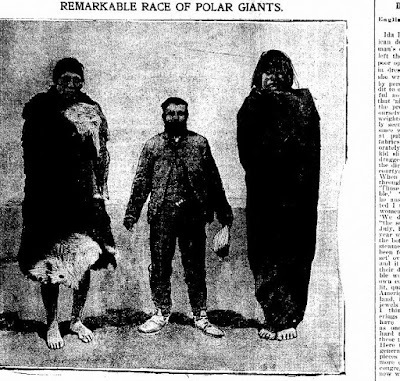 Since Pigafetta's time the assumption that this derived from pata or foot took hold, and "Patagonia" was interpreted to mean "Land of the Bigfeet". However, this etymology remains questionable, since amongst other things the meaning of the suffix -gon is unclear. It is now understood that the etymology refers to a literary character in a Spanish novel of the early 16th century. 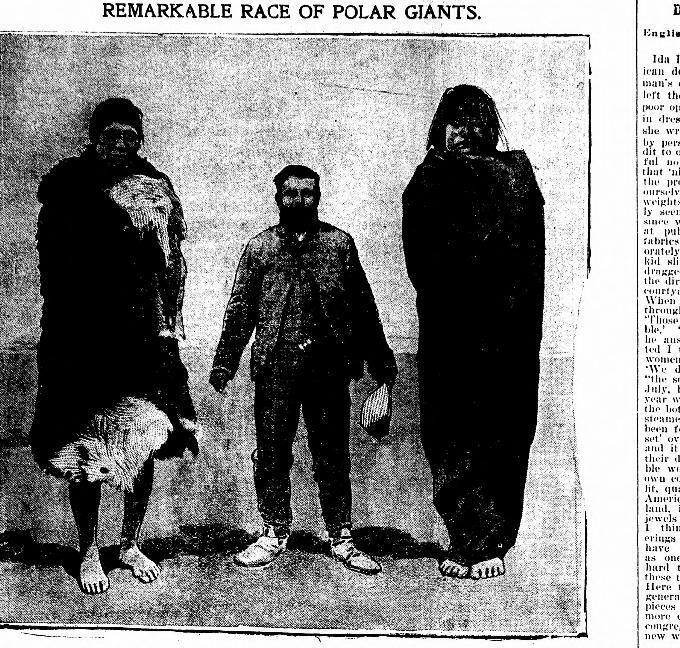 Nevertheless, the name "Patagonia" stuck, as did the notion that the local inhabitants were giants. Early maps of the New World afterwards would sometimes attach the label regio gigantum ("region of giants") to the area. In 1579, Francis Drake's ship chaplain, Francis Fletcher, wrote about meeting very tall Patagonians. 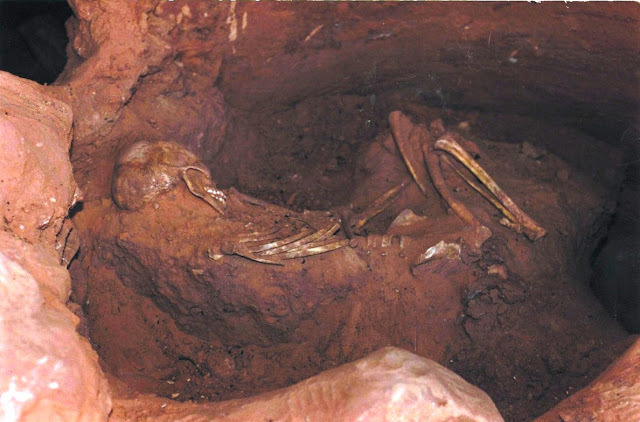 In the 1590s, Anthony Knivet claimed he had seen dead bodies 12 feet (3.7 m) long in Patagonia. Also in the 1590s, William Adams, an Englishman aboard a Dutch ship rounding Tierra del Fuego, reported a violent encounter between his ship's crew and unnaturally tall natives. 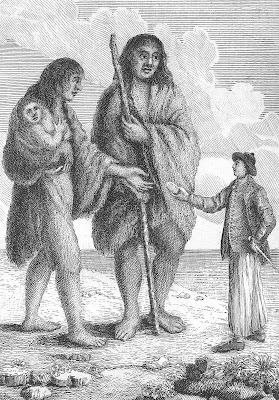 In 1766, a rumour leaked out upon their return to the United Kingdom that the crew of HMS Dolphin, captained by Commodore John Byron, had seen a tribe of 9-foot-tall (2.7 m) natives in Patagonia when they passed by there on their circumnavigation of the globe. 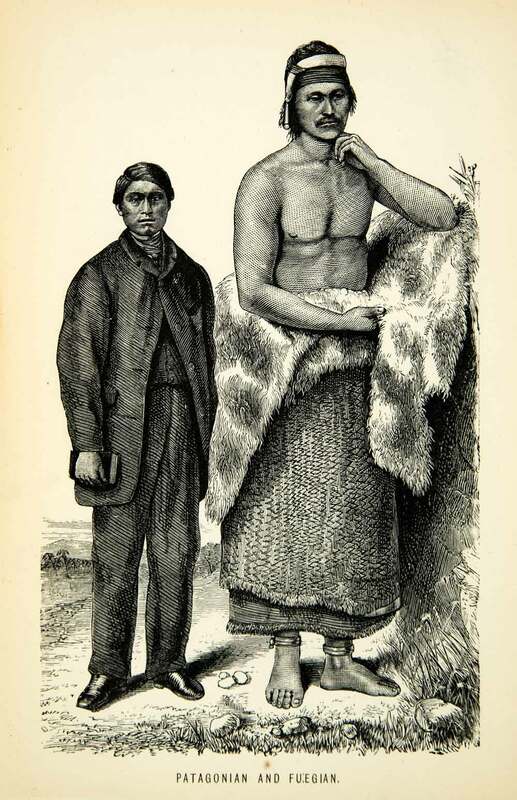 However, when a newly edited revised account of the voyage came out in 1873, the Patagonians were recorded as being 6 feet 6 inches (1.98 m)—very tall, but by no means giants. The people encountered by Byron were in all likelihood the Tehuelches, indigenous to the region. 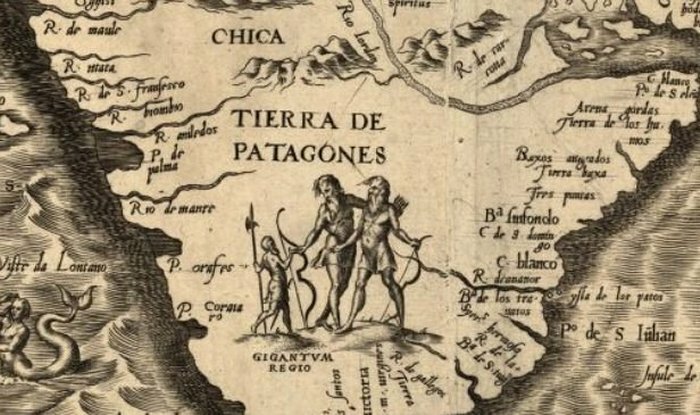 ---->Later writers<---- [WIKI Sources] consider the Patagonian giants to have been a hoax, or at least an exaggeration and mis-telling of earlier European accounts of the region. These accounts may also refer to the Selk'nam people. A photo of a seven foot tall Selk'nam ("Ona") man can be found in the Library of Congress. WIKI, Defined... 1. the act of regurgitating indoctrination, citing the opinions of writers of recent origins, writers of who in turn did the same rather than seek original source material, this practice is considered as intelligence. 2. a controlled form of writing regulated at times directly or indirectly by the curriculum of Smithsonian and designed to lead the reader to believe that because pretended educated men RE-wrote it, it must therefore be true. Oh, I see the problem, Mr. Bancroft wasn't a "Later Writer"
In closing I will say we have a very fine example of a very large man in a collection today, however I will not speak of it until a team is ready to conduct honest tests to confirm or deny its authenticity, because if I spoke now concerning it, it would no doubt disappear from existence as do all things that do not fit the criteria and controlled agenda of Smithsonian.